Natural products can contain many health benefits. 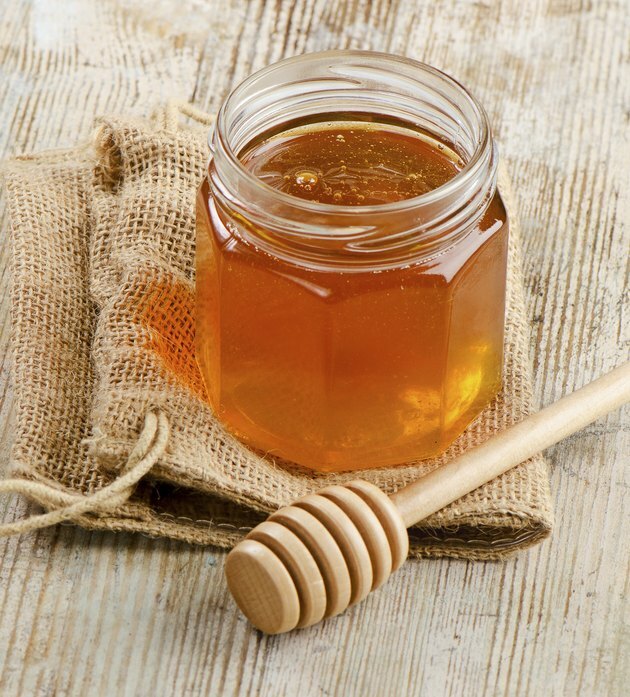 Honey contains 35 percent protein that contains half of the essential amino acids your body needs, and it also contains vitamins in the B-complex, as well as vitamin C, D and E, according to the book “Prescription for Nutritional Healing, The A-to-Z Guide to Supplements," written by nutritional counselor Phyllis A. Balch. Garlic contains volatile oils and sulfur that make it a strong antiseptic, and apple cider vinegar has been used in folk medicine to treat a wide range of ailments, especially in its unfiltered and undiluted form. Garlic, also known botanically as Allium sativum, will stimulate your body’s immune system and is traditionally used as a vermifuge, which, according to herbalist Simon Mills in his book, “The Dictionary of Modern Herbalism,” means it helps expel parasites and intestinal worms in animals and humans. 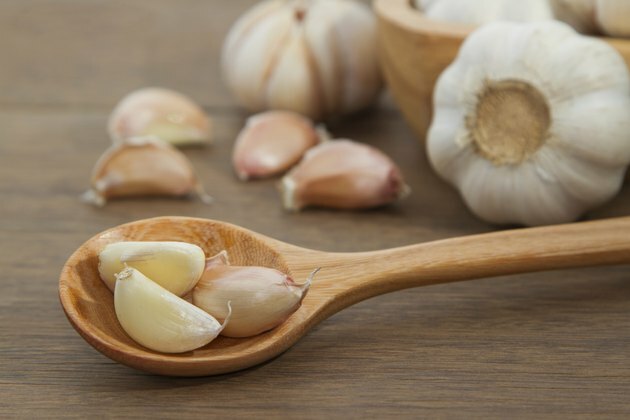 Gladstar recommends garlic to help lower and maintain blood cholesterol levels as well as to lower high blood pressure. Garlic is best taken in its raw state and added to your food as it may lose some of its healing benefits when processed as a supplement. 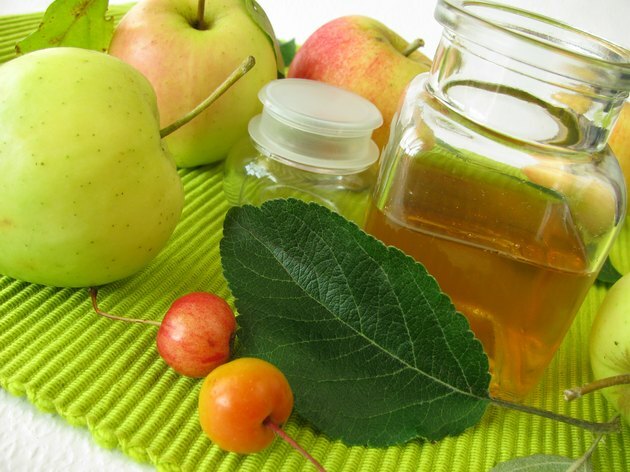 Apple cider vinegar helps reduce LDL or “bad” cholesterol in your bloodstream due to its high pectin content. 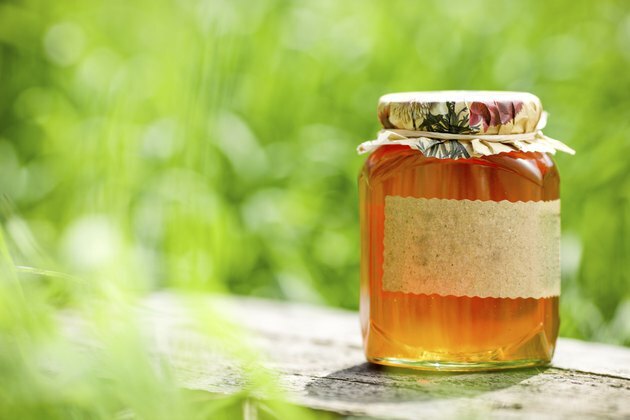 According to the University of Utrecht in Holland, pectin increases the secretion of bile, and bile comes from cholesterol, prompting your body to use up excess cholesterol in your blood stream to make more bile. Apple cider vinegar slows down the digestion of starch, helping lower blood sugar levels, according to the American Diabetes Society. This in turn promotes weight loss because with low blood sugar levels, insulin is not prompted to convert glucose to fat. Additionally, apple cider vinegar is high in magnesium, which is essential in the absorption of calcium that helps build healthy bones and supports muscle contraction and expansion, according to the U.S. National Library of Medicine.